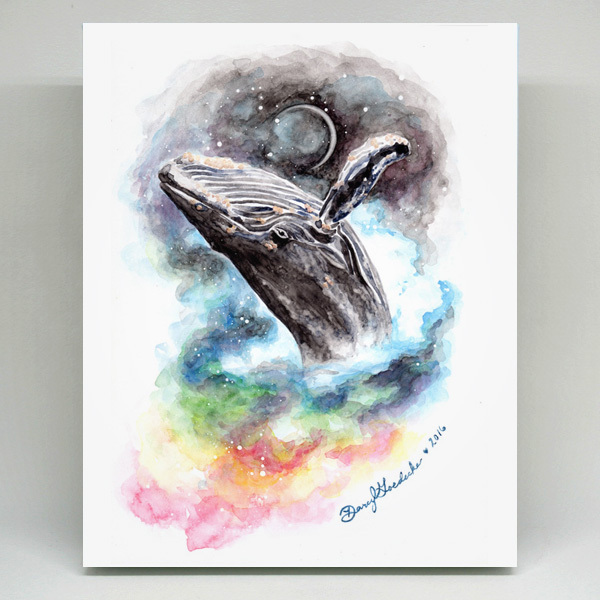 Celebrate the winter of another world with this cosmic humpback whale. Why I made it: I saw a picture of a whale breaching like this and the mist around in was sort of a rainbow. I wanted to accentuate that by having the whale break through nebula-like clouds in the sky. This high quality Giclee (ink) print is on stretched canvas with 1 3/8″ white sides. Printed on demand just for you, please allow up to two weeks for delivery! 5 x 7", 8 x 10", 11 x 14"